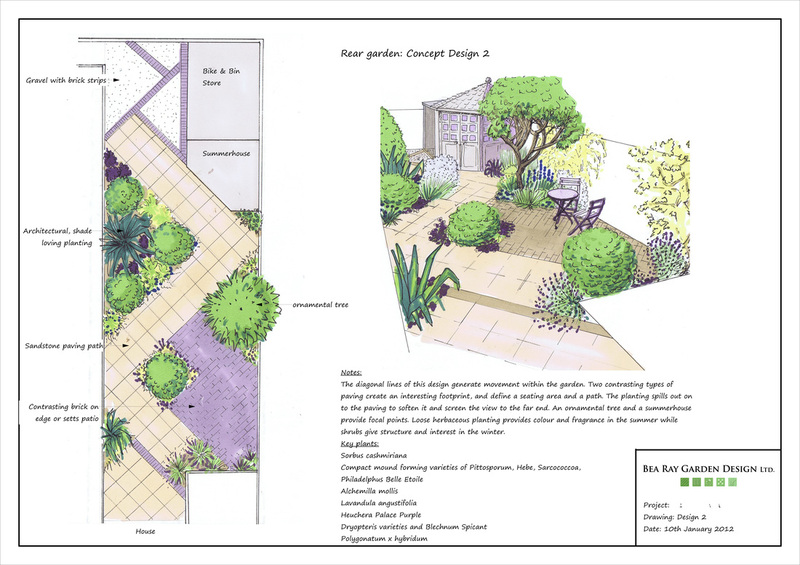 Although the client for this project has plenty of gardening experience, she wanted some fresh suggestions for what she could do with this garden. I put forward three different designs to start the ball rolling. 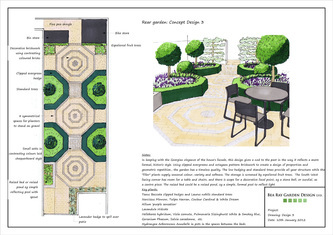 Once planning permission for the house has been confirmed, we will develop the concept to come up with a final design. 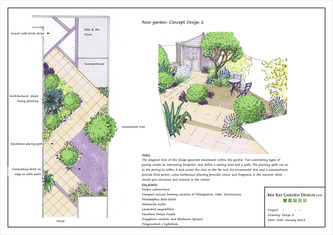 The site is a small enclosed city garden, in partial shade of a mature beech tree. 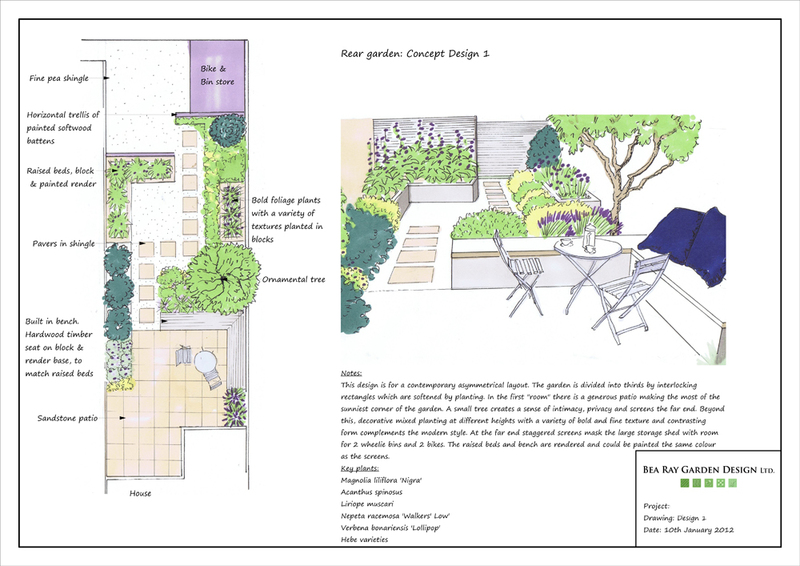 The client wants a garden which will look interesting and elegant all year, while being fairly low maintenance, robust enough to withstand a couple of labradors, and include a corner to enjoy a coffee in the sun. 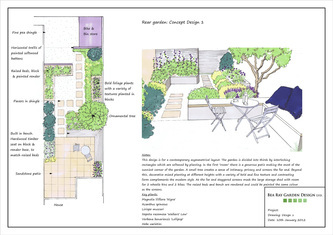 The practical requirements for the space are storage for wheelie bins and bikes.